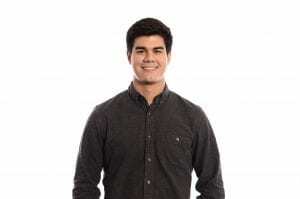 Ethan Perez is a software engineer at Peloton Interactive, where he works to bring the company’s fitness content to the web. Previously, Ethan was a software engineer at DraftKings, a daily online fantasy sports contest platform. 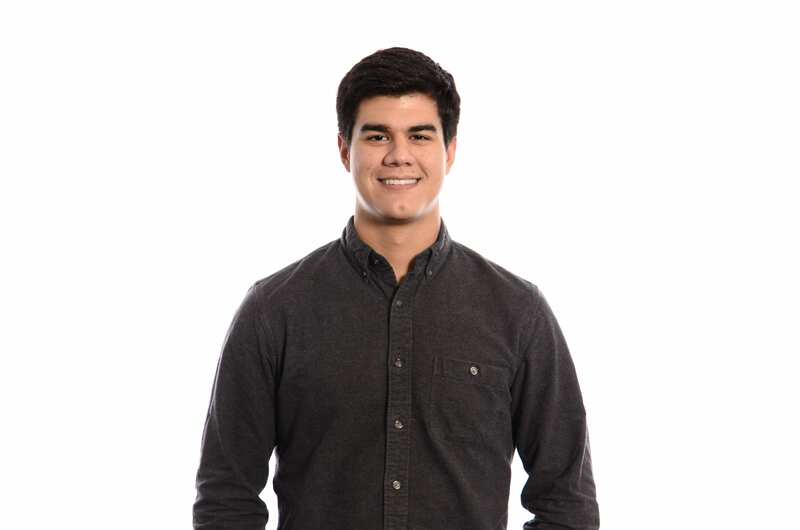 He graduated from McCombs in 2016 with degrees in BHP and Management Information Systems, and has continued advancing his computer science knowledge by enrolling in the Georgia Tech Online Master of Computer Science program. We recently caught up with Ethan to learn about his experience in tech and how it intersects with sports and fitness. You have done numerous technology roles in various industries. Can you walk me through where you’ve been and how you got to where you are today? After graduating, I went to work as a Software Engineer at DraftKings in Boston. I found that opportunity through the Technology and Science Career Fair – at that point, I already knew that I wanted to be in a more technical role, and the intersection of sports and technology felt like a great fit. I spent two years at DraftKings, and learned a great deal about working in the industry. I recently made the move to NYC, which has been a dream of mine, and am currently working at Peloton in a similar role. Peloton started out as an indoor bike company in 2014, but has rapidly grown beyond that. The company has been looking to bring its fitness content onto more devices than just the original bike to broaden the experiences it can give, and most of that has been focused on mobile device experiences. I joined Peloton about 4 months ago, and have been working to bring that idea to life on the Web – and we just launched our Digital Content on the Web at the beginning of October! What do you enjoy most about technical roles? At the core of it, technologically driven roles are about problem solving at a granular level, where the results are very immediate. I think that immediacy of improvement creates a very quick feedback loop, and you are able to see value building right in front of you. The first time I realized this was during my time as a member of Texas 4000 at UT; I built a pretty simple management system that cut some of our manual processing flow out, and the extreme joy that came out of that saved time is a feeling I’ll always come back to. How were you successful in finding technical roles with your business background? What would you encourage current students to do? Once I got that kick of joy from seeing the value some technological skills brought to Texas 4000, I knew that I wanted to start out my career by being hands-on and directly building value through technology. Because I was already fully ingrained in McCombs and BHP, I knew that I would have to turn to alternative outlets to supplement that technical skillset. I spent a lot of time outside of the classroom building side projects and attempting to learn CS fundamentals like algorithms and data structures. However, I believe my passion and interest for building value through software was the biggest reason I was able to land a software engineering job out of school. Looking back, I didn’t know nearly as much as my peers who had a more technical academic background, but I think the companies and interviewers saw that I expressed genuine interest in the industry and brought some curiosity to the table. What inspired you to obtain your MS in Computer Science, and what has your experience in graduate school been like? I am enrolled in the Georgia Tech Online Master of Computer Science (OMSCS), and it’s precisely the reason that I am able to work and continue a formal education that attracted me to the program. As I mentioned, I lacked a decent amount of computer science foundational knowledge. OMSCS is a program that has allowed me to build knowledge in core parts of my industry that I was curious about, but not knowledgeable enough to know how to start learning. It also gives me the opportunity to continue learning new technologies and techniques from a great engineering school – I am currently on a Machine Learning track, and that allows me to keep my technical knowledge moving forward. How do you think your BHP and MIS degrees from UT aided you in what you are doing? I think BHP and MIS were both foundational to the start of my career. I have been working in consumer technology products for almost three years, and the biggest challenges I have encountered have always been between humans, not with computers. BHP and MIS both gave me extraordinary opportunities to build a skillset that has allowed me to make technical and business connections and also to see the ramifications of actions beyond a technical level. As someone who aspires to lead, build, and grow teams in the future, I think that skillset is extremely important to my growth. Care about your peers and coworkers. It’s a noticeable quality, and it is something that will allow you to trust and be trusted in the workplace. You will probably spend more time with your coworkers than most others in your life, so I believe it is important to grow and nurture those relationships. I have created life-long friends in workplaces, and they have increased my quality of life by magnitudes. Regardless of what professional goals you may have, caring for and about your coworkers will never let you down.